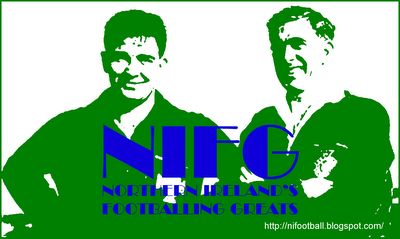 Representative Honours: Northern Ireland: Under-20, Under-19, Under-17, 2 Under-16 Schools (2001), Junior (2005). Club Honours: (with Ballymena) Co. Antrim Shield Runner-Up 2006/07. William McFrederick comes from a footballing family - his father, Sammy, was a goalkeeper with Derry City and Ballymoney. William joined Fulham in 2001 as a sixteen-year-old where he was to become an understudy to Edwin van der Sar and Maik Taylor. In January 2004 he was sent on loan to Crawley Town of the Southern League to gain some firstteam experience, but shortly after his return to Craven Cottage he was released. He wasn't without a club for long as Ballymena United stepped in to sign him on a short-term deal as cover for their Intertoto Cup campaign. In the summer of 2004 McFrederick was selected for the Northern Ireland Milk Cup Elite squad and starred in a memorable win over Brazil. He had previously played for County Fermanagh in the younger age groups and at the 2004 tournament his younger brother Matthew did likewise. 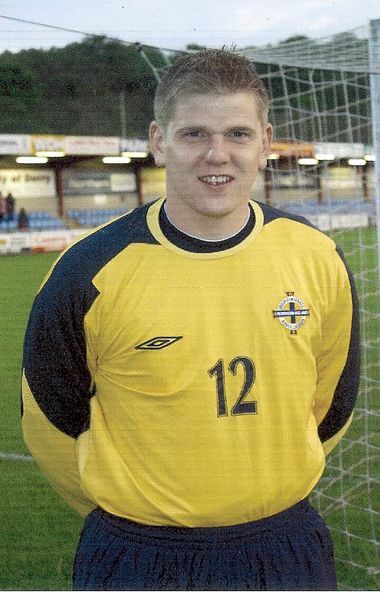 In April 2005 McFrederick was part of the Northern Ireland Junior international squad that took part in the annual Quadrangular tournament against Scotland, the Isle of Man and the Republic of Ireland. McFrederick remained with Ballymena for three seasons, claiming a regular place in 2005/06 and appearing in a 2-1 Co. Antrim Shield final defeat by Linfield. His form saw him called into the Northern Ireland Under-21 squad, but he never made it further than the substitutes bench as fellow Fermanagh-man, Michael McGovern was Roy Millar's preferred number one. Having lost his place at Ballymena at the start of the 2006/07 season McFrederick spent some time on loan at his first club, Ballinamallard United. In December 2006 he was allowed to join Glenavon, where he was limited to only rare firstteam appearances. He joined Glentoran on loan in the summer of 2007 as goalkeeping cover for their UEFA Cup matches against AIK Solna, though returned to the Glenavon bench for the bulk of the 2007/08 season. Having been released by Glenavon in the summer of 2008, McFrederick joined Armagh City. A change of jobs in 2010 appears to have curtailed his playing career. Photo by Tubby Morton from the OWC forum.